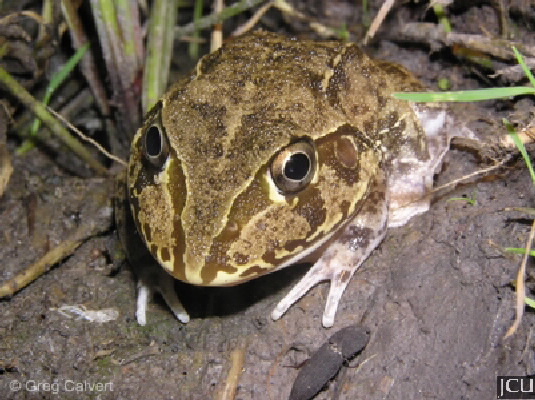 This frog has a broad head with a wide mouth. Body colour varies from dark brown to grey or even yellowish with dark mottles, the belly is white but the throat may be flecked with brown. 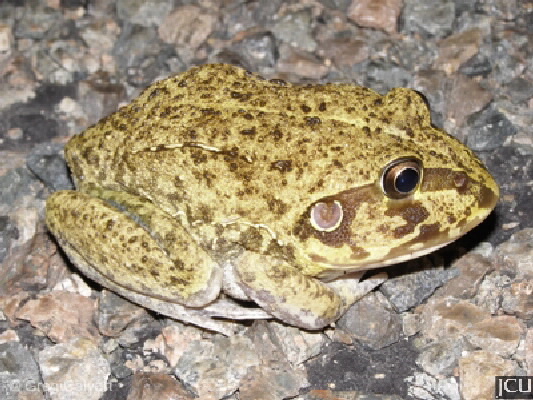 There is a dark stripe extending from the nostril to behind the eye. Fingers are unwebbed, but toes are webbed for about a third of their length. Found in pools in grassland and open forest areas.